Collectors will envy this highly detailed Crusade-themed long sword featuring a massive stainless steel blade embellished with a decorative historic laser etching. 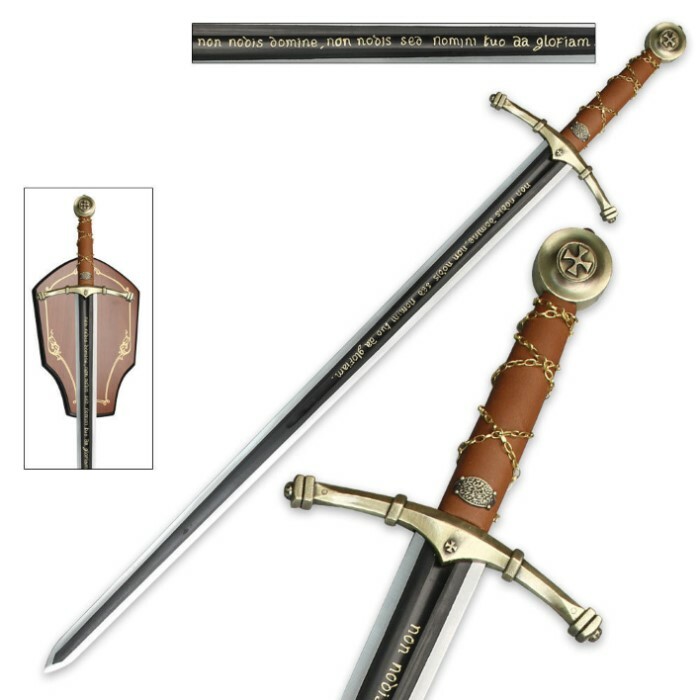 Ornate details such as the oversized antique brass hand guard and pommel give this historic collectible sword tons of authenticity and designer detail. Display it proudly and elegantly on the exquisite wooden wall mount display plaque. Measures 45" overall. I like it but slight issues.